:Have you ever looked into the faces of the people who call you "mom" and wondered what in the world you got yourself into? In other words, He wants you to be MomStrong! 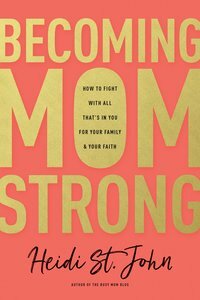 So if you're feeling tired or inadequate today, get ready to find new strength as you join Heidi St. John in Becoming MomStrong.